Summer camps are a great way for kids to get active. But since most carry a cost, not every child has the chance to take part. This summer, we wanted to take that obstacle away for some kids in Boise. That’s why partnered with minor league baseball team, The Boise Hawks to provide twelve scholarships to their annual youth baseball camp for deserving children in Boise. 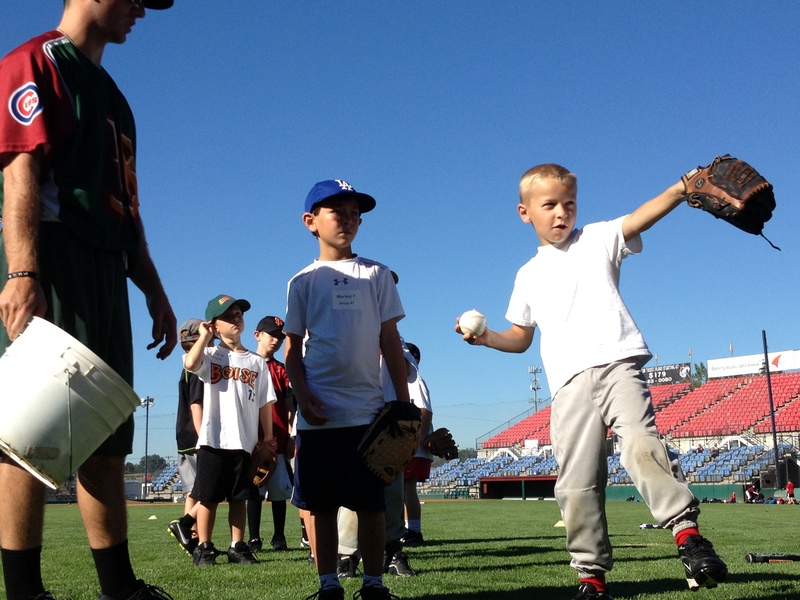 The camp gives kids the chance to learn the basics of baseball directly from the Hawk players. We figured that’s a great way for kids to exercise in Boise, so we gave the scholarships to our pals at Activate Treasure Valley and the Boys and Girls Club of Ada County, and they were able to give them to baseball loving kids in their programs. This Friday, we’ll be hosting a Healthy Life Night at Boise Hawks Stadium. Along with our pals at Activate Treasure Valley, we will have fresh fruit, healthy trivia, and our newly integrated ‘Share Your Healthy Ideas” board. It is our hope that when faced with the decision of candy bar or carrot, you’ll use us as the inspiration to make the right decision. So join us this Friday at the Boise Hawks game and share your healthy ideas with us. A huge thanks to the Boise Hawks for being our partner. And, we’re so appreciative that Activate Treasure Valley and the Boys and Girls Club were able to quickly distribute the scholarships. We have some great partners in Boise, and we’re so proud of the joint effort to use baseball as a platform for wellness.